Hi and welcome on the Aoshi Studio website dedicated to Wedding photography! 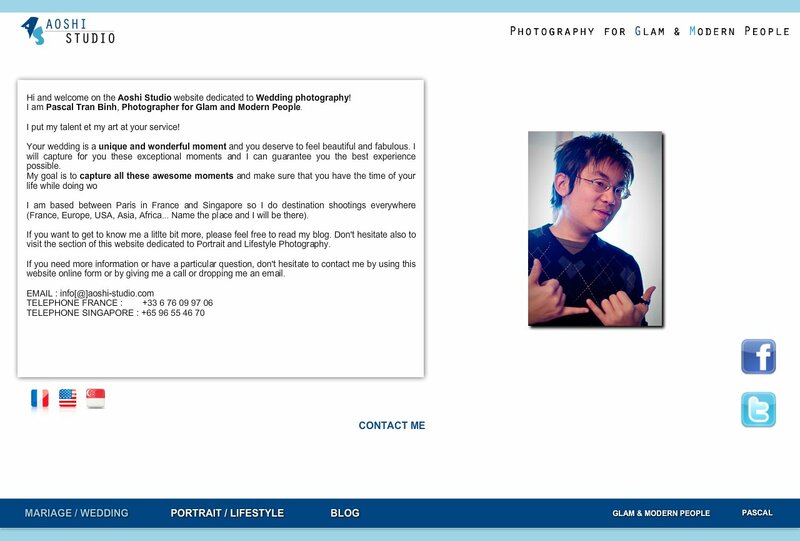 I am Pascal Tran Binh, Photographer for Glam and Modern People. I put my talent et my art at your service! Your wedding is a unique and wonderful moment and you deserve to feel beautiful and fabulous. I will capture for you these exceptional moments and I can guarantee you the best experience possible. If you want to get to know me a litlte bit more, please feel free to read my blog. Don't hesitate also to visit the section of this website dedicated to Portrait and Lifestyle Photography.